In addition to his current solo career, Hovsepyan was a member of both the HAV Folk Trio and Barcelona Ethnic Band, both based on Barcelona, Spain. He has also collaborated with Norwegian composer/pianist/cellist Håvard Enstad. Vigen Hovsepyan currently resides in Yerevan, Armenia, where he maintains an active recording and touring schedule. This album was produced with several objectives in mind. First and foremost, it is a vehicle for the vocal talents of Vigen Hovsepyan, a self-taught musician who has split his time between Yerevan, Armenia and Barcelona, Spain. Virtually unknown, Hovsepyan slipped underneath the radar of talent scouts and burst onto the club scene in his native Armenia during the summer of 2015. At the time, he was marketed as a nuevo flamenco singer/guitarist/percussionist whose vocal mimicry of the likes of Camarón de la Isla was uncanny. He cut his teeth in Barcelona clubs for years. Throughout his typical three hour shows, he would drop an Armenian folk song or two into each set, putting audiences into a frenzy. Yet, there was more. In addition to singing and playing guitar, he would switch to performing on the duduk, bendir, cajón, and dumbek all with fluidity and talent. Formal training or not, it was clear that Vigen Hovsepyan was a natural musician. During conversations on what program to present for this album, one thing became abundantly clear—Vigen Hovsepyan felt a deep responsibility to present folk music in a tasteful, contemporary fashion. Here is that attempt to connect with a wider general world music audience. Another concern also centered around Armenian folk songs “dying on the vine”. His intent was to revive certain songs deemed destined to be forgotten. 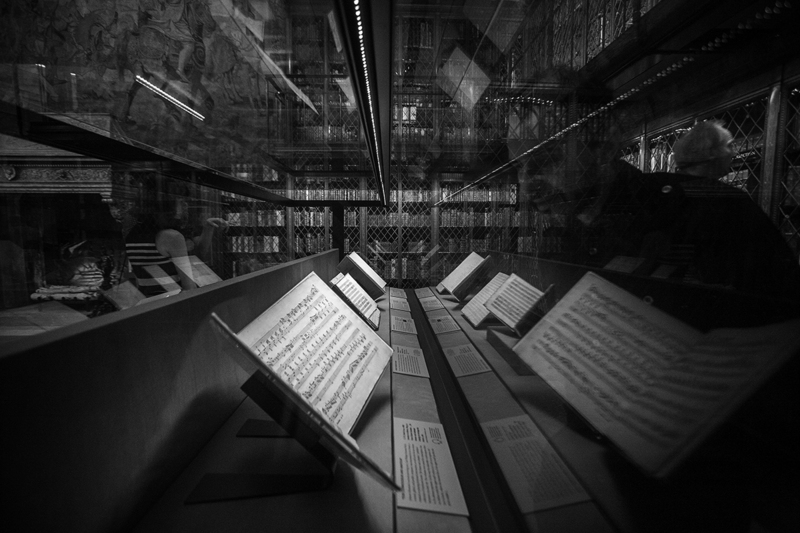 Controversial decisions (against the wishes of Armenian ethnomusicologists and purists) were made regarding instrumentation, time changes, and arrangement styles. 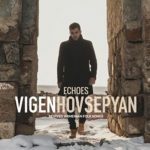 Additionally, Hovsepyan enlisted the help of two important collaborators in Norwegian-born, Barcelona-based composer and cellist/pianist Håvard Enstad as well as Garegin Arakelyan, an important musical figure in Armenia. Both Enstad and Arakelyan helped shape the program by solidifying the unique musical arrangements presented on this album. Enstad provided an important European classical influence while Arakelyan tapped into the Armenian “ethno-folk” elements of many of the songs presented. The project was fortunate to secure several influential guest artists such as Ara Dinkjian (oud), Miqayel Voskanyan(tar) as well duduk masters Harutyun Chkolyan and Arsen Petrosyan. Most of the folk songs presented on this album have a bittersweet history. Due to the combined massacres of Armenians during the Hamidian (1894-1896) period as well as the genocide starting in 1915 at the hands of the Ottoman Turks, most information related to who wrote what went by the wayside as much of the Armenian nation was destroyed. As such, only a handful of songs have survived. Songs such as “Gulo” and “Msho Gorani” can be attributed to the Moush (Mus) region of historical Armenia (now in present day Turkey). In the case of “Gulo”, otherwise known as “Gyulizar’s Lament”, the song is about a beautiful Armenian girl from Moush who was captured by Kurdish bandits and forcibly Islamicized. Gulo eventually musters enough courage to go to the authorities to affirm her Armenian identity, a celebrated trial ensues in Constantinople, and Gulo is released to go back to Moush where she remarries and is immortalized through this famous folk song. Other songs also focus on regions or villages such as Talish in the song “Talishu Jampan”. Talish has been lost and retaken by Armenians many times during its history. Most recently, it was the scene of a bloody skirmish in 2016 when Armenian forces in Nagorno Karabagh successfully defended it from Azerbaijani attacks. The song “Ani” refers to the Armenian “City of 1001 Churches”, a ruined ancient medieval city now in present day Turkey just over the border from Armenia. The haunting Ashugh Jivani (1846-1909) lyrics were rediscovered by ethnomusicologist Boghos Tovmasyan, saved from oblivion. In addition to the geographic locations, certain songs on this album are attributed to those who popularized them. “Tal Tala” comes from the historic Armenian region of Palu. The song was introduced and recorded by an Aleppo, Syria-born, Providence, Rhode Island (USA)-raised singer named Maro Nalbandian. Songs such as “Tal Tala” were brought to the New World where they were sung at weddings and dances. Sadly, many of these songs never made it East to present day Armenia and as such, they are largely unknown. With “Sareri Hovin Mernem”, this is not the case. The legendary vocalist Hovhaness Badalian wrote and popularized this beautiful piece which is known throughout Armenia. An original piece was written for this album by Håvard Enstad. Unofficially known as “Drdo, Part 2” and later changed to “The Immigrant”, Enstad took inspiration from the song, “Drdo”, which appears on this album. With its driving cello rhythms and lively duduk solo, it is a fitting contemporary composition while simultaneously paying tribute to the folk spirit of the album.